In the heart of the action, you will provide the indirect fire support for the NZ Army as part of a team operating the 105mm light gun. “Ubique” (Latin for “Everywhere”) is the motto of the Royal Regiment of New Zealand Artillery. As a gunner you will be a part of the organisation that provides and directs a wide range of fire support for our Defence Force. 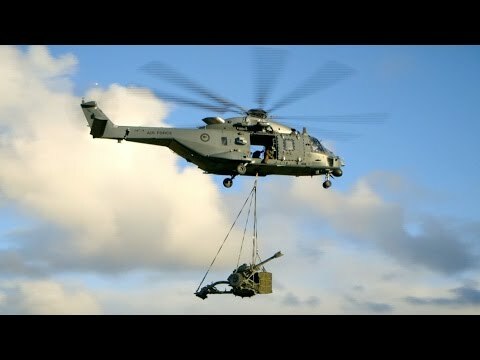 In the Artillery you not only have the opportunity to operate the L119 Light Gun and L16 Mortar, our large calibre indirect fire weapons that support combat operations, but you could also direct fire support from helicopters, aircraft and naval vessels. You will train in the combat and technical skills required to deliver direct and indirect fire, which we call ‘offensive support’. This means more than just firing artillery barrages to suppress a threat – it means protecting the force, coordinating military fire-power, gathering information, illuminating the battlefield, and identifying targets. The L119 Light Gun is a sophisticated and complex weapon system. You could be a part of a highly skilled, tight-knit gun detachment consisting of seven personnel, transported by a Light Operational Vehicle (LOV). The L16 Mortar is a light-weight man-portable weapon system, requiring you to operate in small teams under highly tactical conditions, either within a LOV or on foot. Alternatively, you could become a command systems operator where you will be a part of the team that receives, computes and directs the firing of the guns and mortars. With experience you may be selected to be a part of a more exclusive team that moves forward to find, observe and direct Artillery fire onto a target. Becoming a Gunner means you have earned your membership in the Royal Regiment of New Zealand Artillery, a Corps with a long and proud history. Whilst in camp you will conduct training, routine equipment maintenance and other unit tasks. Your training will cover soldiering, weapons, tactics, communications, leadership and driving. Being a Gunner is a physically demanding role so expect to continue to develop your physical fitness, and there are regular opportunities to play sport. Within the Gunner trade you will specialise in weapons, targeting or command systems. Your tasks will vary from loading and firing the L119, driving LOVs to tactically manoeuvre your weapon detachment, using specialist equipment to compute firing data, using specialist equipment to gather meteorological data, or setting up observation posts and calling in fire from land, air and naval weapon systems. You can expect to train extensively in New Zealand, and we conduct overseas training exercises with our allied militaries in Australia, Canada, Malaysia, Singapore, UK and USA. Gunners are deployed overseas whenever the need arises, if not in a purely artillery role, then in infantry and liaison type roles where you can still put your artillery skills to good use. There is also potential to be deployed in support of humanitarian or disaster relief operations both here in New Zealand or around the Pacific. Over the last 20 years Gunners have deployed on operations in Bosnia, East Timor, Egypt, Afghanistan, and the Solomon Islands. Tasks can range from establishing and maintaining cordons in a civil defence situation, such as the recent Christchurch earthquakes, to conducting force protection patrols or calling in air support in high-threat environments, such as in Afghanistan. Once we get into position the guns will come into action which means they’re ready to fire. As you progress in your career you will cross train within the weapons, command systems and targeting specialisations, so expect to develop into a leader with a strong knowledge of indirect fire support. Weapon detachment commander – where you are responsible for firing the gun or mortar, maintaining the weapon system, and managing detachment crew members. Command systems Sergeant – where you are responsible for voice and data communications, computation of firing data, management of technical equipment, and managing command post crew members. Forward observers assistant – where you are responsible to the Forward Observation Officer for the adjustment of weapons systems to deliver targeted firepower, coordination of different fire support missions, maintaining all the technical equipment, and managing team members. The forward observer role directly contributes to the delivery of combat power at the highest level in the Defence Force, so expect a lot of training in New Zealand and overseas to be able to manage, operate and co-ordinate complex computer and weapon systems. This course introduces the knowledge, skills and attitudes needed to be employed within an Offensive Support Battery. This course is both physically and mentally challenging. It covers the essential basic trade competencies for Artillery (Gunner) so that you can function within an operational unit. You will then receive specific trade training. You will continue to improve your physical fitness and learn combat first aid and casualty evacuation, navigation, and how to operate military communications equipment.